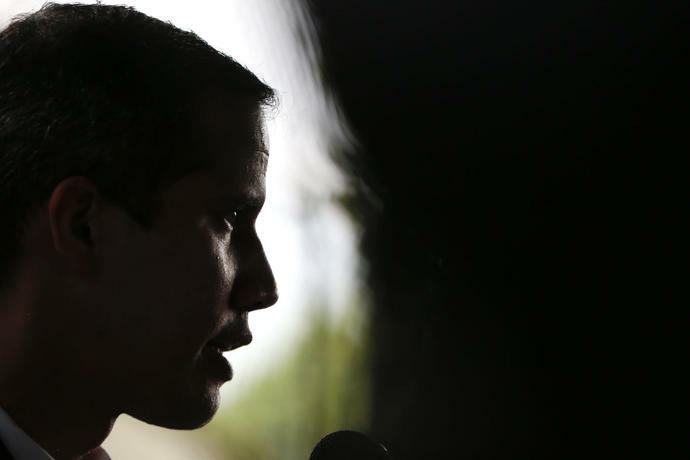 CARACAS, Venezuela (AP) - Venezuelan opposition leader Juan Guaido on Thursday said the government was too dysfunctional to arrest him, in what amounted to a direct challenge to President Nicolas Maduro after a key opposition figure was detained in an overnight raid. 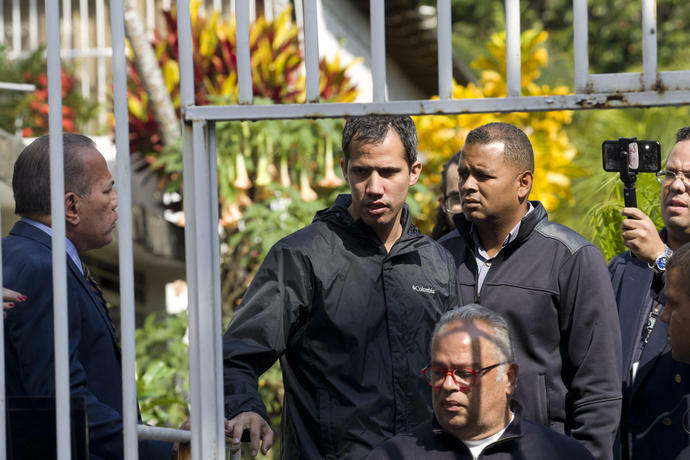 The United States and other nations that support Guaido demanded the immediate release of lawyer Roberto Marrero, a Guaido aide taken by intelligence agents after they broke down the door of his Caracas home. Despite the nighttime show of force by masked officials, Guaido said later that some Venezuelan intelligence chiefs called him to say they weren't involved. He didn't identify them, but characterized the operation as a sign that Maduro is losing his grip on power in a country suffering from years of economic hardship and political polarization. "Either he doesn't dare to jail me, or he's not in charge," the leader of the opposition-controlled National Assembly said during an appearance at a school. 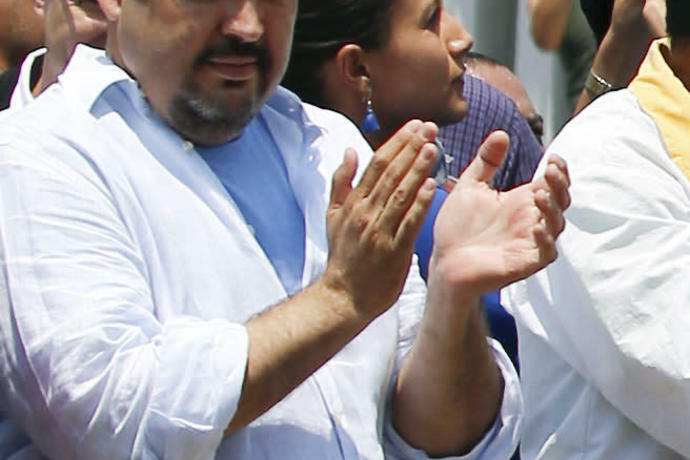 The Venezuelan government had no immediate comment on Marrero's detention, which represented a sharp increase in police pressure on the opposition after a period of relative calm. 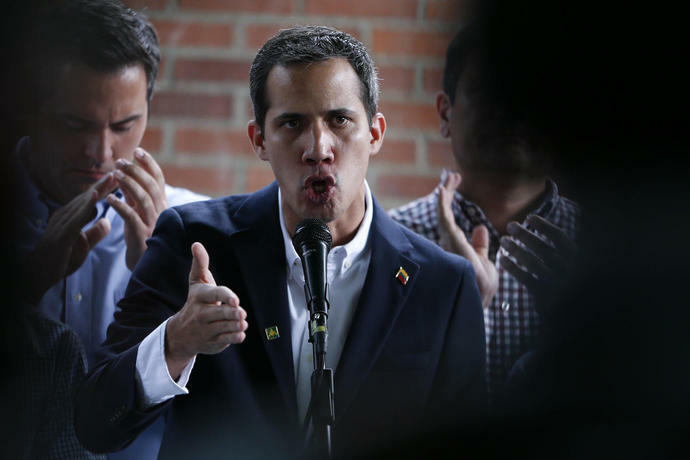 Guaido had even said that the government was ignoring him in an attempt to sap the energy of the opposition, though Maduro has often described his adversary as a "puppet" being manipulated in a U.S. plot to overthrow his government. The U.S. has imposed sanctions in Venezuela in a bid to oust Maduro and has warned that tougher economic penalties could occur. "We will hold accountable those involved," U.S. Secretary of State Mike Pompeo tweeted after Marrero's detention. In Washington, President Donald Trump's special envoy for Venezuela, Elliott Abrams, said he believes Maduro's government is concerned about what the international reaction could be if they try to detain Guaido. 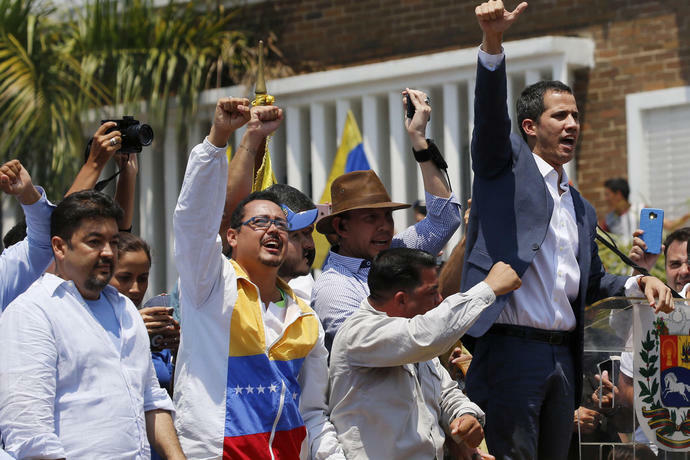 Instead, he said the government may be targeting Guaido's aides, and he called on countries supporting the opposition leader to "immediately respond." He also repeated Trump's statement that "all options are on the table," but said "we're not thinking" about a military option at this time. Maduro and his ally, Russia, have said they are concerned that the U.S. could be planning a military intervention in Venezuela. 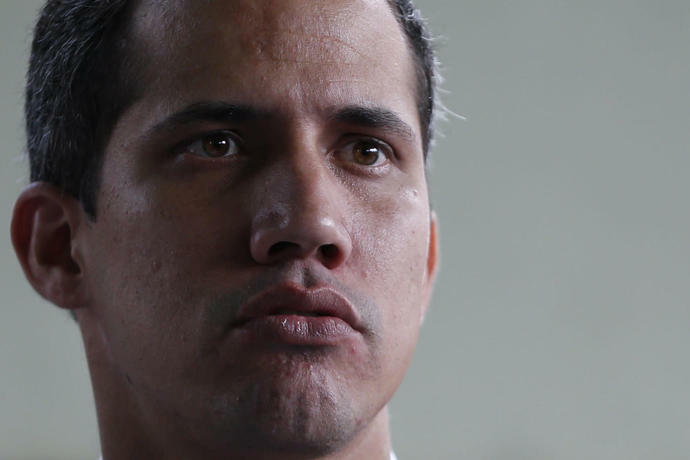 Marrero, head of Guaido's office, reported the raid in a telephone call whose recording circulated on social media soon after the operation occurred. As he described how a large group of intelligence officials was entering his home, heavy thuds could be heard in the background. 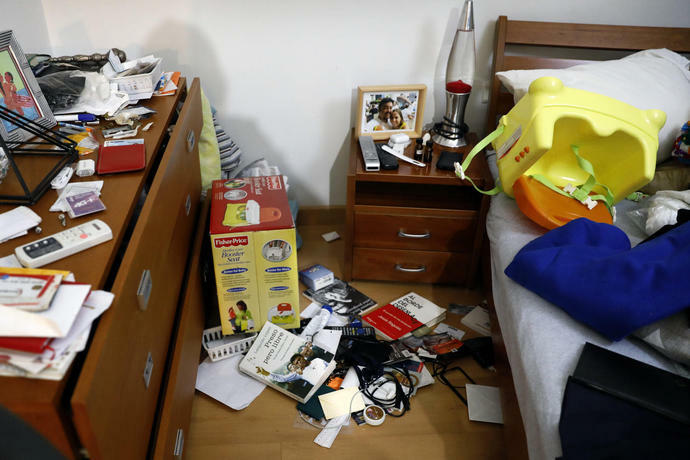 The security forces broke through a metal screen door and a wooden door to get into Marrero's house and left drawers open during their search, said Carlos Berrizbeitia, another opposition lawmaker who later visited the residence. Dozens of security forces were involved. 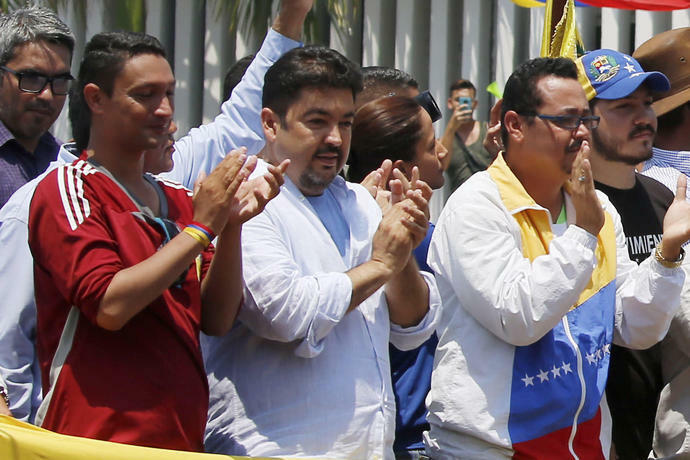 Vergara and Marrero both accompanied Guaido on a recent Latin American tour to build international support for his efforts to pressure Maduro to step down. 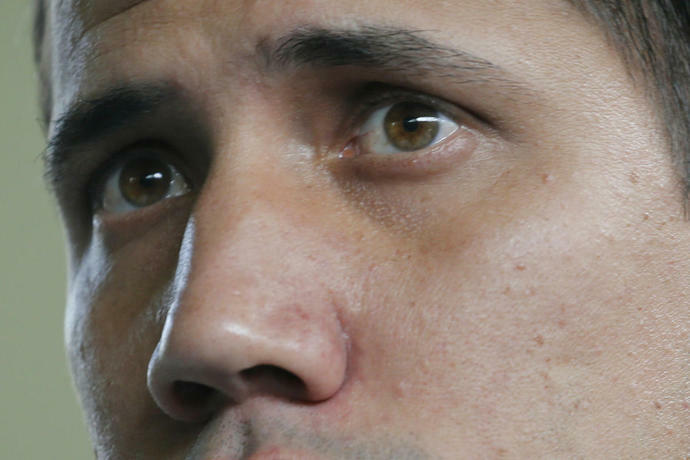 Guaido, who had defied a travel ban to leave the country, returned to Venezuela on March 4. The United States had warned the Venezuelan government not to act against Guaido, who says Maduro's re-election last year was illegitimate because major opposition figures were not allowed to run.